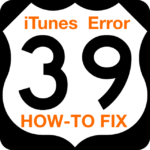 Some Windows users have reported receiving the error message “iPodService Module (32-bit) has encountered a problem and needs to close” after updating to iTunes 10. Reinstall iTunes 10. Ignore any iPod Service errors you receive. You don’t need to go through all that rubbish. 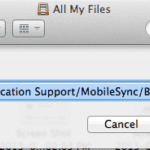 the ipod service stuff is in program files / ipod / bin. 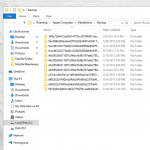 just copy the bin folder from v9 and overwrite the v10 one.. Worked great for me! I am pretty suprised that Apple hasn’t addressed this and caused such a waste of time, but i appreciate the fix! Thanks! Thanks very much!! it worked perfectly! its great Man!…it really worked for me…..
Didn’t work for me. Still get the same error so it won’t install. Dude, worked perfectly…thanks a ton! This fix is awesome, it’s resolved the issue on 3 different CPU’s for me. Thanks for the info! This is really, really stupid. Why should we have to waste that much time uninstalling, re-installing, copying folders, etc. Just come out with a fix. this works! fantastic. thanks a mill! i was worried i would have to take it down to the apple store or something. 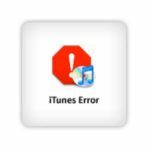 took me hours removing/reinstalling itunes and quicktime thinking there’s something wrong with my system. how long will it take for a new update..?